How To Reduce Ill Effects Of Rahu and Ketu, Natural remedies to get rid of malefic Rahu and Ketu impacts, inauspicious Rahu and Ketu remedies, Astrology Remedies for Rahu and Ketu or Rahu and Ketua, how to make Rahu and Ketu strong. Before starting this article let me clear a very important concept related to MALEFIC Rahu and Ketu AND WEAK Rahu and Ketu. Malefic Rahu and Ketu means when Rahu and Ketu sits with enemy zodiac then it becomes malefic but weak Rahu and Ketu may be positive or negative. In this article we are going to see only remedies of malefic Rahu and Ketu. There are different solutions of malefic and weak Rahu and Ketu so don't be confused. These 2 planets are known as shadow planets but are very powerful and change life of anyone. Rahu and Ketu plays very important role in our life and as per vedic astrology Rahu and Ketu are related with emotions of person, sudden problems and sudden benefits, negativity, evil eye effects, mental problems, theft, legal problems, respiratory problems, salvation, wounds etc. Positive Rahu and Ketu makes the life interesting whereas inauspicious Rahu and Ketu generate many problems in life. Fade mirrors shows malefic impact of rahu. Feeling of someone in house or nearby all the time. Conflicts arises with everyone due to malefic rahu and ketu. Sudden heavy loss in business is also possible. Sudden death of anyone may be also possible due to this. Any dog can bite person who have malefic ketu. Person may become addict of drugs suddenly. Unknown diseases may harass person who have malefic rahu or ketu impacts. Fear from snake will also harass anyone. Dreams of falling from somewhere or of snake bite also possible due to malefic rahu and ketu. Rahu and Ketu shanti pooja is a good way to reduce ill effects of Rahu and Ketu. 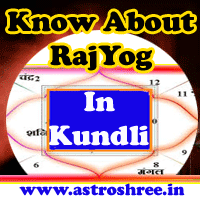 Do not wear Gomed or Lehsuniya if Rahu and Ketu is creating problem in horoscope. Do feed cows which are having dual color. Do offer Linseed oil deepak under peepal tree on wednesday evening and on saturday. Do chant the spell of planet Rahu and Ketua daily minimum 108 times and pray for healthy and happy life. Do offer coconut in temple regularly. Don't worry if Rahu and Ketu is creating problem in life, do consult astrologer for proper analysis of horoscope and get perfect and easy remedies. How to destroy malefic effects of rahu?